We all know how important radio communications are and at a time before the internet and even digital communications, governments relied on RF communications that were susceptible to the suns solar storms, if you add that to the cold war nuclear tensions then we could all be living in holes now. Cold War history isÂ rife with close callsÂ that nearly led to nuclear holocaust. In September 1983, for example, sunlight reflecting off a patch of clouds fooled a Soviet missile-warning system into detecting the launch of five US intercontinental ballistic missiles that never were. A wary colonel in a bunker ignored the alarm onÂ a 50/50 hunch. Two months later, US forces staged “Able Archer 83” â a massive nuclear-strike drill on the doorstep of the USSR. Soviet commanders panicked at the show of force and nearly bathed America in thermonuclear energy. Once again, an act of human doubtÂ saved the planet. Now scientists have one more hair-raising event to add to the books:Â The “Great Storm” of May 1967. “The storm made its initial mark with a colossal solar radio burst causing radio interference … and near-simultaneous disruptions of dayside radio communication,” a group of atmospheric scientists and military weather service personnel wrote in a new study, published August 9 in the journalSpace Weather. Hours later, high frequency communications dropped out nearÂ US military installations in and near the ArcticÂ â one of the closest places to station nuclear weapons and launch them at a Cold War-era Soviet Union. Earth’s magnetic field protects life on the planet by corralling the sun’s high-energy particles toward the planet’s polar regions. If the sun happens to launch a cloud of solar particles directly toward Earth during a violent outburst, called a coronal mass ejection, it can triggerÂ powerful geomagnetic storms. This not only leads to beautiful auroras, but can also scramble wireless communications and disrupt radar systems. While The Washington Post wrote up a story about the storm as “City Gets Rare Look at Northern Lights,” top US military commanders sounded the alarms in secret. The Air Weather Service (AWS) â a relatively new branch of the Air Force â had warned military leadership about the possibility of a solar storm, but US commanders believed the Soviet forces were jammingÂ NORADÂ systems designed to detect threatening planes and missiles. As the Strategic Air Command warmed up the engines of bombers and taxied toward the runway, the decision to go airborne may have been kicked all the way up to the “highest levels of government,” possibly involving President Lyndon B. Johnson. “Had it not been for the fact that we had invested very early on in solar and geomagnetic storm observations and forecasting, the impact [of the storm] likely would have been much greater,” study leader and UCAR atmospheric scientist Delores Knipp said in the release. 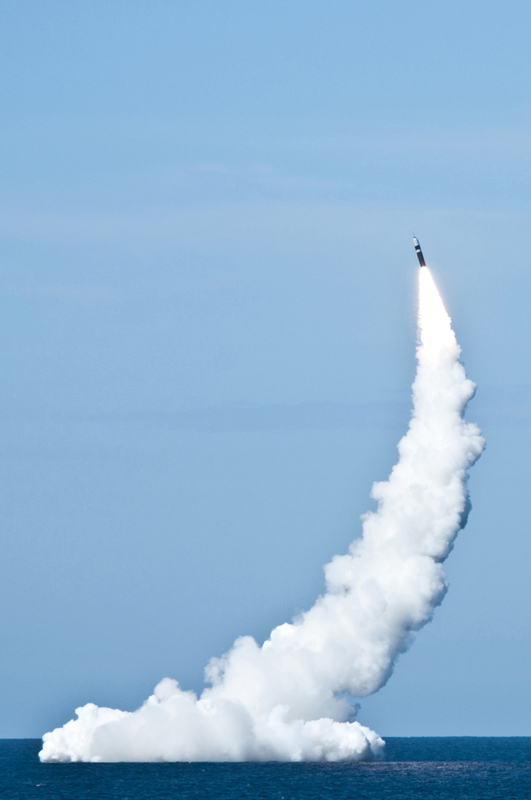 After the near miss, the researchers say the military learned to listen to its space weather forecasters, improve its abilities to see another looming “Great Storm,” and avert the first and perhaps final global nuclear exchange. Take a second and look at Human beings, really look at us. Weâre not as strong as elephants or rhinos, weâre not as tough as lions or tigers and we can neither swim like fish nor fly like birds. Yet, despite all this, there is still one inescapable fact: Human beings are the dominant species on the planet. The short answer to your question lies implicitly within the above paragraph. With good communication skills, a group of disparate individuals can overcome a great many obstacles by working together. It is believed that our earliest ancestors were able to ward off predators by sticking together in large groups and thus presenting a formidable target (as opposed to, say, a buffet). We were also able to hunt prey much larger and stronger than ourselves (e.g. the woolly mammoth) by co-ordinating our efforts with good communication skills. Such good communication skills are, not to put too fine a point on it, vitally important to the Human race as a whole. This excerpt from âMutual Aid: A Factor of Evolutionâ by Russian author Peter Kropotkin (1902), illustrates what weâre trying to say better than we ever could. In other words, their shared lifestyle is a form of communication, the result of learned social primers and a lifetime of experience. It is the secret ingredient to our success as a species. Good communication skills in the workplace operate along the same basic principles as they do outside the workplace. The goal is clarity, but equally, the speaker wishes to illustrate her point of view and encourage others to sympathize with it. This is why politicians pay their speechwriters as handsomely as they do. âDifferent social groups use different linguistic varieties, and as experienced members of a speech community we have learnt to classify speakers accordinglyâ, for those interested – this is known as âsocial-class dialectsâ. You might ask how this affects you. Well, consider this; if you are applying for a typically upper or middle class job (say, office manager as an example) and you speak with a traditionally working-class accent, vocabulary and demeanour during your interview, you are actually less likely to get the job than the applicant who uses received pronunciation and does not use colloquialisms or slang terms. You might be more qualified on paper, but the interviewer will likely say something about you not being âthe right fitâ for the position. This is because he has been primed to expect a certain type for a certain role. Therefore, good communications skills, in this instance at least, would hinge on your ability to appeal to listeners by meeting their expectations. Of course, we now know that such distinctions are unfair. Combating expectations of class, race, gender and sexual stereotyping led to the rise of âpolitical correctnessâ, a much-maligned (and often justly so) and yet consistently misunderstood phenomenon. For a more extreme example, imagine giving an obscenity-laced PowerPoint presentation at your next meeting. Once you stop laughing, consider the implications even if everything in the presentation was 100% accurate, (groundbreaking, even) youâd still be fired, wouldnât you? Swearing is, of course, a lower-class way of communicating. You need to find the correct words for the correct situation, but evidently, there has been a great deal of discussion as to what are the correct words. If you want to know more, the poem âThe Six OâClock Newsâ (1976) by Scottish poet Tom Leonard is a good place to start. In the UK, we study it as part of GCSE English (or at least we did when this writer was at school), and the poem neatly highlights the social and class-based distinctions that typified (and still do to some extent) ânormalâ speech and any important announcements.. So, in conclusion, communication skills are important because without them, nobody would be able to understand YOU. One question that is frequently asked by people interested in buying two way radios is that can you mix brands of two way radios. To answer this question properly, it is imperative to understand first how the devices work. It should be known that whether you have a small business or a large warehousing facility, UHF band radios never communicate with the VHF band radios. Therefore, if you are looking to buy a radio, make sure to buy additional units of the device of similar bands. In this way be it a UHF band radio or a VHF band radio, if set to the same frequency can work with all brands. However, some considerations have to be put in its place beforehand. Two way radios imply that it can both send as well as receive radio messages. They are transceivers that are battery powered. The radios operate on a half-duplex channel system. This system implies that the radio will be able to transmit a signal on a single channel that can be received on many devices at the same time. Normally these radios are designed to transmit short-range signals. Almost all of the two way radios function on the same principle. They all include a microphone, an antenna, a speaker, and the Push to talk Button. These radios are designed to function on different frequencies. The general public use frequencies are the Family radio service frequency or the FRS and the general Mobile radio Service frequency or GMRS. Both these frequencies work on a 460 MHz rage. The UHF frequency or the ultra-high frequency is ideal for the two way radios as they can easily penetrate the interference in the form of building and trees. The two way radio with a long UHF antenna will push through the concrete and will do your work efficiently. On the other hand, VHF antennas on the radios are much longer than the ones in the UHF radios. These are ideal to use in the outdoors as they usually can transmit signals over very large distances. There are normally two types of radios, that are used in businesses and that are used in consumer situations. The consumer radios normally work on the FRS or the GMRS frequencies. Regardless of the number of channels in the radio, the two way radios can be mixed with other brand radios. Only the radios have to be set to the same privacy code, the channel number, and the same frequency. Alternatively, there are several different types of frequency in the business two way radios category. The radios use the UHF, VHF and the 800/900 MHz type frequency. Just by choosing, the radio with the same frequency may not be compatible with the radios of other brands bought beforehand. While buying the radio, the dealer may have programmed a special customized frequency into the radio beforehand. In order for the business, two way radios to work efficiently with the radios of different brands it is essential to completely figure the type of band that the radio uses, the pre-set frequency on the radio from the dealer. I donât care who knows it; I still think wireless headphones are cool. Like bowties, or fezzes in that respect. Oh sure, there are drawbacks, sacrifices that must be made, but its still a total novelty to take a conference call whilst standing up and wandering around. I donât know about you, but I think better on my feet. Thatâs why Iâm crap at job interviews, because I appear far more nervous than I actually am, due to all the squirming I do. In reality, if I could just stand up and pace around the room at will, well, youâd probably be reading this article as-written by someone with far greater knowledge and experience. And get this, the Sony Over-Ear headphones have a 100m listening range. That means that it should be entirely possible for you to get up and make yourself a cup of tea whilst still listening to…Whatever it was you were listening to that was so riveting that it made you crave caffeine in the first place. Feasibly, you could even venture outside to yell at the local kids, or pick up the paper. Also, with these headphones, youâll get 28 hours out of a AAA battery, now you really canât say fairer than that, can you? Especially if you charge it up when youâre not using it. They are big though. Like, really big. Instead of being built for regular, Human-size heads, they appear to have been sculpted with Red Dwarfâs resident mechanoid Kryten in mind (two BBC Sci-Fi references in one article? Bonza! ), the sheer size is ridiculous. They are adjustable, of course, but you might still have every cause to wish these headphones were smaller. Another negative is the sound quality. I donât want to say that it is bad (of course, thereâs a âbutâ coming…), but there is a low hiss that seems to permeate everything that you hear, as well as a loud cut-off noise if the signal is broken in any way. From a design perspective, this second feature makes a lot of sense, you donât want to be outside, waffling away to your mate and not notice that the signal has dropped out (as happens so often with mobiles), but still, there simply has to be a better way, doesnât there? The noise is loud, intrusive and actually rather scary at times. However, apart from those minor, nagging problems, these headphones are actually quite nice. 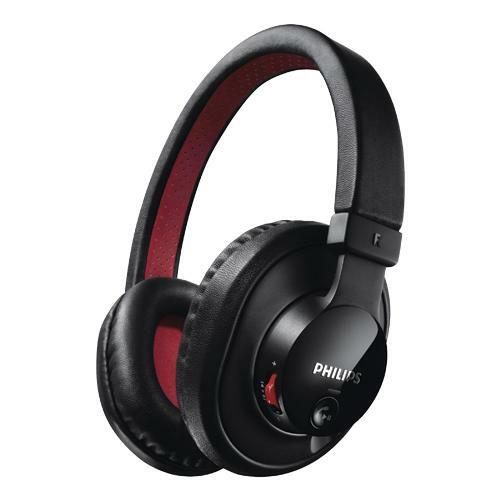 They sound OK, the wireless function works beautifully and the price is alright as well. Nice one, Sony. For employees with a hearing impairment,Â the presence of sound in the workplaceÂ can be a daily challenge and a sourceÂ of frustration. Robin ChristophersonÂ looks at how employers can manageÂ potential problems. Wherever you work, andÂ whatever your role, thereÂ is a strong chance thatÂ you are routinely bombardedÂ by noise from aÂ variety of different sources.Â Telephones ringing, printers whirring,Â music playing on the shop floor or the constantÂ hum of colleagues talking in a open-planÂ office, the world of work is full of sound. According to the Health and Safety Executive,Â around 17,000 employees in the UKÂ experience deafness, ringing in the ears orÂ other ear conditions caused by excessiveÂ noise at work. Action on Hearing Loss estimates thatÂ at least 800,000 people in the UK are severelyÂ or profoundly deaf, but this is a smallÂ proportion of the 10 million people withÂ some form of hearing loss, of which it estimatesÂ that 3.7 million are of working age.Â There are no exact figures on the numbersÂ of people who use British Sign LanguageÂ (BSL) to communicate, but the estimate isÂ around 50,000.
hearing ability and there are lots of differentÂ causes of hearing loss, as well as a varietyÂ of possible implications in the workplace. As hearing is not something we can âseeâ,Â it can be difficult to determine whether orÂ not a colleagueâs hearing is impaired. ThisÂ can make it difficult for line managers toÂ know who to help, and when. In meetings, presentations, networkingÂ events or interviews, a hearing impairmentÂ could have an impact on an employeeâs abilityÂ to do their job, if they are not properlyÂ supported or if the working environmentÂ is not inclusive of their needs. There can also often be an emotionalÂ response to hearing loss, which impactsÂ on the social and wellbeing of the employee.Â If you are unable to hear what colleaguesÂ are saying clearly, you might missÂ out on vital information needed for yourÂ role, or you might miss the latest bit ofÂ office banter, which makes you feel isolatedÂ and excluded, having a negative impactÂ on morale. Employees with a hearing impairment areÂ protected under the Equality Act 2010 andÂ employers are required to remove the barriersÂ that deaf and other disabled peopleÂ experience in the workplace. There are aÂ number of different ways to ensure that anÂ organisation is accommodating the needsÂ of deaf or hearing-impaired employees. We are all using technology in the workplace,Â without really thinking about it, asÂ part of our day-to-day communications.Â How much of the information you shareÂ with colleagues or clients is via the phone,Â email, your intranet, website, a PowerPointÂ presentation or a short video? The answerÂ is, of course, nearly all of it. Technology can work as an enabler asÂ well as a disabler. A message from your organisationâsÂ CEO via video on your corporateÂ intranet can be a really powerful wayÂ to communicate with your workforce, butÂ if that video does not have subtitles or captions,Â you are excluding a proportion ofÂ your staff, not limited to those with a hearingÂ impairment but also people whose firstÂ language is not English. Sometimes the most effective adjustmentsÂ are made by simply utilising existing resourcesÂ in a different way. For example, ifÂ important company announcements areÂ often given over a tannoy or PA system,Â which would be difficult or impossible forÂ someone with a hearing impairment to hear,Â you could also issue the same message viaÂ email or text message. 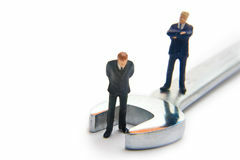 There are also times when specialist adjustments,Â such as using a palentypist or BSLÂ interpreter, need to be arranged. 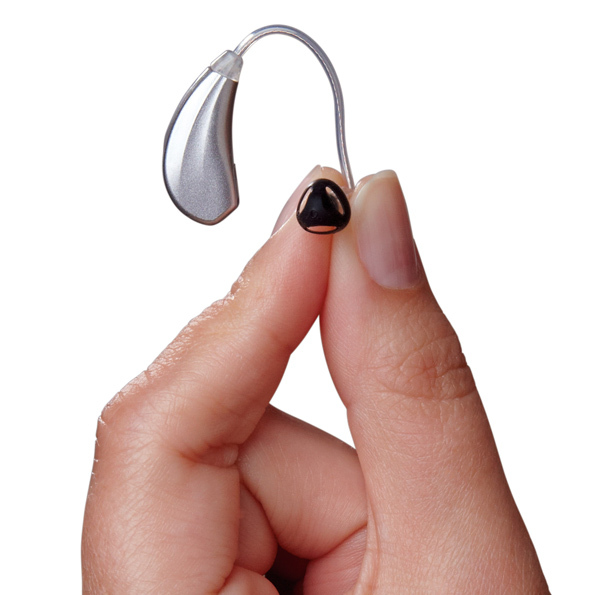 It is importantÂ that the individual employee gets theÂ adjustment that they require, when theyÂ require it â because no two people with aÂ hearing impairment are the same. 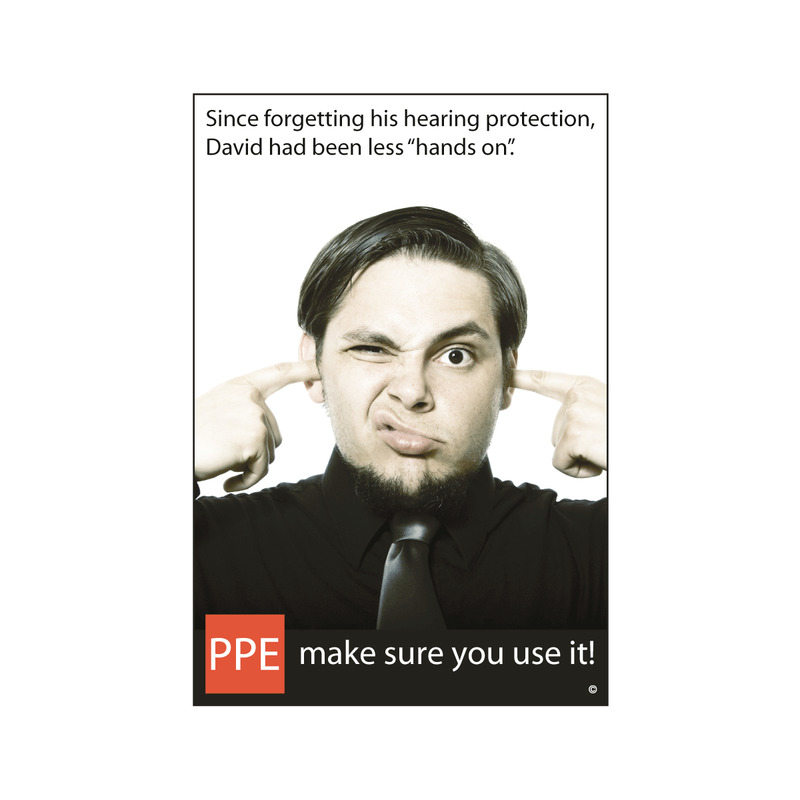 This article highlights the many advancements that have been made in the field of hearing protection at work, and ten years after theÂ Control of Noise at Work Regulations 2005 came into force we should have completely eradicated high levels of noise or the need to control it into the workplace, the original of this article can be found here.